Resident Representative in China, after a signing ceremony in Beijing, on December 2, 2014. 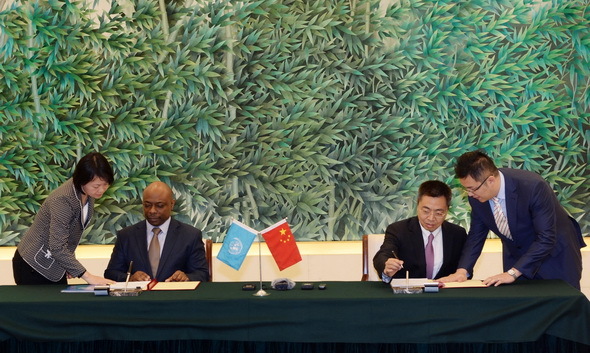 China and the United Nations (UN) on Tuesday of December 2 signed an agreement on Chinese donation of six million U.S. dollars to aid global fight against Ebola. 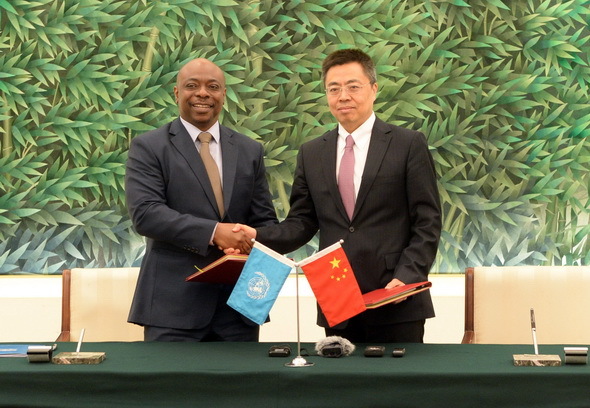 The deal was signed by assistant minister of commerce Zhang Xiangchen and Alain Noudehou, the UN Resident Coordinator and United Nations Development Program Resident Representative in China. The donation will go to the UN Ebola Response Multi-Partner Trust Fund to support the UN Mission for Ebola Emergency Response. The move is part of China’s fourth round of Ebola-fighting aid announced earlier by President Xi Jinping. The President of Sierra Leone Ernest Bai Koroma commended the Chinese government for its continued support and commitment to the ongoing fight against the spreading Ebola virus disease (EVD) on Tuesday of December 2. Koroma made the remarks during a meeting with a Chinese senior representative for Ebola fight, Xu Shuqiang at the State House. President Koroma described the appointment of Xu Shuqiang as a significant addition to the intervention of China and applauded the Chinese government for treating Sierra Leone as a special friend. He stated that the Chinese government had made four interventions in terms of equipment, funds, laboratory capacity and personnel that had come very handy in the fight to eradicate Ebola. He stated that the rapid Ebola test kits will increase laboratory capacity and equally cut down the waiting time that would help the country to move ahead of the virus. Meanwhile, the president said the training of 4,000 personnel will not only boost the fight against Ebola, but also help to strengthen the health sector in addressing Ebola and non-Ebola related issues as the country moves on after the outbreak. “This is a welcomed development as it will help to strengthen the capacity of our health personnel,” he said. President Koroma also noted that such interventions would go a long way in capacitating the country to adequately respond to any future outbreaks of not just Ebola but other communicable diseases. He welcomed the idea of the establishment of a communicable disease center that will provide teaching services and response capacity to ensure the dissemination of the required service across the country, and urged the Minister of Health and Sanitation to look at the need for a supplementary protocol to include treatment as suggested by Xu. The African Union (AU) will be launching the “Africa Against Ebola” SMS resource mobilization campaign to raise funds for the fight against Ebola. The launch of the SMS campaign will be coincided on Wednesday of December 3 in Lagos, Nigeria with the Sendoff ceremony of a 250 member Nigerian health corps to Ebola affected countries, under the AU Support to Ebola Outbreak in West Africa (ASEOWA) mission, said AU in a statement on Tuesday. For the first time, mobile network operators across Africa are partnering the AU Commission to support the fight against Ebola in West Africa, it said. The initiative, operating under the hash tag ‘# AfricaAgainstEbola’, will use an SMS dedicated platform to raise funds for the deployment of African health workers to affected countries, according the statement. The SMS fundraising campaign will use the short code 7979 with local adaptations where technology requires; and customers will be asked to text “Stop Ebola” to this code in order to voluntarily donate in their respective countries. Mobile operators across Africa including Airtel, Econet Wireless, Etisalat, Millicom (Tigo), MTN Group, Orange, Safaricom, Vodacom and Vodafone Ghana are participating in this campaign, noted the statement. The campaign will run between now and the end of February 2015. The launch of the SMS campaign and the sendoff ceremony for the Nigerian medical corps will be attended by the leadership of Nigeria, the Chairperson of AU Commission, Nigerian Minister of Health, the leadership of Africa’s mobile network operators, and many senior government and AU officials as well as the medical professionals who will be departing for the Ebola affected countries. The AU is leading the African fight against Ebola under its ASEOWA mission, and 87 medical professionals have already been deployed to Liberia Sierra Leone and Guinea, recalled the statement. The Union’s goal is to send more than 1000 health workers before Christmas, said the statement. Ebola has claimed over 5,000 lives across some parts of West Africa since it was first reported in Guinea in 2013. According to the World Health Organization (WHO), this is the largest outbreak on the continent, affecting mostly Guinea, Liberia, and Sierra Leone. The World Health Organization (WHO) on Tuesday of December 2 officially declared the Ebola outbreak in Spain is over and commended the country on its diligence to end transmission of the virus. On Oct. 6, the Spanish National Reference Laboratory confirmed the first human-to-human transmission of Ebola virus disease outside Africa in a healthcare worker, who had been part of a team at La Paz-Carlos III Hospital providing medical care for a person with Ebola virus disease repatriated from Sierra Leone on Sept. 22. On Oct. 21, the healthcare worker tested negative for the second time and was consequently considered free of Ebola infection. “Today, 2 December 2014, marks 42 days since the healthcare worker tested negative. There have been no further cases since the healthcare worker was confirmed to be negative for Ebola virus, so today the outbreak is over in Spain,” WHO said in a statement. According to WHO recommendations, the end of an Ebola virus disease outbreak in a country can be declared once 42 days have passed and no new cases have been detected. The 42 days represents twice the maximum incubation period for Ebola. WHO commended Spain for the measures put in place to identify potential cases and prevent further transmission of the Ebola virus. These measures included exhaustive contact tracing of both high- and low-risk contacts, daily active monitoring of all contacts, training in and monitoring of correct use of personal protective equipment for all healthcare workers caring for the patient infected with Ebola virus. The President of the World Bank Group (WBG) Dr. Kim Yong Jim arrived in Ghana on Tuesday of December 2 on the first leg of a four-nation West African visit. The visit will also takes him to the three countries most affected by the Ebola pandemic, Sierra Leone, Liberia and Guinea, a release from the World Bank Ghana office stated Monday. The WBG president will be accompanied on the trip by Jin-Yong Cai, Executive Vice-President of the International Finance Corporation (IFC); Makhtar Diop, World Bank Vice President for Africa; and Tim Evans, Senior Director, Health, Nutrition and Population Global Practice. According to the statement, Dr. Kim will hold discussions with President John Dramani Mahama and other state officials, and convey the World Bank Group’s appreciation to Ghana for her leadership role in coordinating the regional Ebola response. It stated further that the discussions with President Mahama would “focus on Ghana’s economic challenges and the important role of key stakeholders, including government, development partners, private sector and civil society in addressing them”. According to the statement, Dr. Kim will also participate in a roundtable discussion with a group of private business leaders active in the West African sub-region to discuss the overall impact of Ebola on private businesses, particularly small and medium enterprises. It is estimated that the total cost of Ebola to Sub-Saharan Africa’s economy is between 3 billion dollars and 4 billion dollars. Dr. Kim is also expected to meet with officials of the UN Mission for Ebola Emergency Response (UNMEER) headquartered in Accra, Ghana, to discuss in-depth plans for accelerating and decentralizing the response to get to zero cases. The WBG president visited Ghana late October where he announced an additional 100 million dollars support for the fight against the Ebola crisis in the West African sub-region. That announcement brought to 500 million dollars the World Bank’ s support for the countries having announced a 400 million- dollar package earlier. The international response to Ebola has been slow and piecemeal, and risks becoming a “double failure”, the Doctors Without Borders (MSF) said on Tuesday of December 2. This patch and slow response has left local people, national governments and non-governmental organisations (NGOs) to do most of the practical, hands-on work, the MSF said in a press release emailed to Xinhua. The international medical humanitarian organisation warned that the international community must not fail twice with a response that is slow in the first instance and ill-adapted later on. Three months after MSF called for states with biological- disaster response capacity to urgently dispatch human and material resources to West Africa, all three of the worst-hit countries have received some assistance from the international community, the press release said. But foreign governments have focused primarily on financing or building Ebola case management structures, leaving staffing them up to national authorities, local healthcare staff and NGOs which do not have the expertise required to do so, MSF claimed. The national authorities in the affected countries have taken the lead on the response with the means available to them, the organization said. “Training NGOs and local healthcare workers to safely operate case management facilities takes weeks. Though MSF and other organisations have been offering training, this bottleneck has created huge delays,” said Dr Joanne Liu, MSF’s International President. Across the region, there are still not adequate facilities for isolating and diagnosing patients where they are needed. In rural areas of Liberia where there are active chains of transmission, for example, there are no transport facilities for laboratory samples. In Sierra Leone, scores of people calling in to the national Ebola hotline to report a suspected case are told to isolate the person at home, according to the MSF. Meanwhile, other elements that are essential to an Ebola response — such as awareness-raising and community acceptance, safe burials, contact tracing, alert and surveillance — are still lacking in parts of West Africa, the release said. In Guinea, where the epidemic continues to spread, awareness- raising and sensitisation remains very weak — especially for an intervention that began eight months ago. But some international actors seem unable to adapt quickly enough to a fluid situation and shift their focus to other activities as required, the release said. “Controlling an Ebola outbreak goes beyond isolation and patient care. Wherever there are new cases the full package of activities must be in place. Everyone involved in the response must take a flexible approach and allocate resources to the most pressing needs at any given time and place across the region,” Liu said in the press release. MSF began its Ebola intervention in West Africa in March 2014 and is now operating in Guinea, Liberia, Sierra Leone and Mali. The organisation runs six Ebola case management centres with a total capacity of more than 600 beds. Since March, MSF has admitted more than 6,400 people, of whom approximately 4,000 tested positive for Ebola and 1,700 have recovered. MSF currently has some 270 international staff working in the region and employs 3,100 locally hired staff. The World Health Organization (WHO) said the Ebola outbreaks was slowing down as measures were being enforced and some technical targets were almost reached, while scientists said their development of anti-Ebola vaccines is generating promising results. WHO Assistant Director-General Bruce Aylward told a press conference in Geneva on Monday that the Ebola outbreaks is slowing down as the affected West Africa countries have largely reached the 70 percent target of safe burials, case isolation and treatment. Given the increasing gap between the rapid rise of the disease and the capacity to treat it, WHO and the UN Mission for Ebola Emergency Response set the target of the so-called “70-70-60 plan”, which tried to get 70 percent of the cases isolated and treated, and 70 percent of the deceased safely buried within 60 days from the beginning of October to Dec. 1. Aylward said two months ago the deadly disease is escalating in many places and exponential growth was seen in term of new cases, due to the shortage of treatment beds as well as burial teams. Aylward, who is in charge of WHO’s response to Ebola outbreaks, updated that in all the three countries, more than 70 percent of the Ebola deaths are buried safely as the numbers of safe burial teams have more than doubled over the past 60 days, from less than 100 to nearly 200. In terms of the percentage of cases treated in the Ebola treatment center or community care center, he said that Liberia and Guinea are currently treating more than 70 percent of the reported cases, and Sierra Leone is expected to meet the target in the coming weeks with planned additional beds capacity being rolled out. Meanwhile, he also noted the numbers of available Ebola treatment beds largely doubled across the three heavily-affected countries, and Sierra Leone witnessed the greatest increase from about 267 in late September to almost 650 on Dec. 1, and Liberia from 480 to near 1,000. “Yes, we are on track because the disease is slowing down with the 70 percent achievement to stop Ebola,” he said, hailing this reached an important milestone along the way. “The step-up both in safe burials and in proportion of cases being isolated is reflected in the epidemiology, as you see, there has a real slow down in the speed of new cases, fortunately in most areas across the West Africa,” he added. “We were no longer seeing exponential growth and in some areas we were seen declining disease,” He said. However, he noted the disease is still increasing in some hotspot areas. and in order to further stop the outbreaks, he said, more assistance is needed, including 1.55 billion U.S. dollars in the immediate response period. Meanwhile, scientists said on Monday that their development of anti-Ebola vaccines is generating promising results. Speaking at a conference of African Immunologists in Nairobi, Adrian Hill, director of Oxford University’s Jenner Institute, said the two vaccines will re-energize the fight against Ebola. “The two vaccines have demonstrated remarkable efficacy and have no side effects to Ebola patients. We anticipate their deployment will commence in January,” Hill told African medical researchers. The WHO on Saturday revealed that 6,928 people have died of Ebola in Liberia, Guinea and Sierra Leone. At the same time, 16,000 people infected with the Ebola virus could succumb to death in the absence of proper treatment and care. Pharmaceutical giants, rich governments, foundations and multilateral agencies have contributed funds to support the development of an Ebola vaccine. Hill said that clinical trials on Ebola vaccine have accelerated thanks to adequate funding and political attention. “Development of an Ebola vaccine is accelerating faster than anticipated. The vaccine is being tested in Mali where 80 people have received the jab,” Hill said, adding that over 200 people have been vaccinated against Ebola globally. The clinical trials on Ebola vaccine commenced in September and the WHO will approve it once it passes efficacy and safety test. He emphasized the vaccine will be a game changer in the war against Ebola in West and Central Africa. “The vaccine will be availed to high risk groups like health workers and people involved in burials,” Hill said. Despite the slowdown as the WHO has pointed out and the progress in anti-Ebola vaccine development, efforts against Ebola continue worldwide. Tanzanian health authorities on Monday called on eastern African countries to strengthen cross border surveillance of the deadly Ebola virus. Donald Mmbando, permanent secretary of Tanzania’s Health and Social Welfare Ministry, said health experts in the region should ensure that the disease did not find its way into the region which has had a heavy burden of HIV/AIDS, tuberculosis and malaria. “No outbreak of Ebola has been reported in East Africa but three months ago there were reports of Marburg disease which resembles Ebola in the Democratic Republic of Congo (DRC),” he said when opening the annual meeting of the Arusha-based East, Central and Southern Africa Health Community (ECSA-HC). In October, the East African Community announced it was mobilizing 750,000 U.S. dollars from its reserve fund for emergency preparedness against Ebola. The bloc also announced it was deploying 600 health workers to Guinea, Liberia and Sierra Leone. China Food and Drug Administration (CFDA) has approved three home-grown Ebola test reagents to be used in prevention of the spread of the virus. The three test reagent products are made by Daan Gene Co., Ltd of Sun Yat-Sen University, Shenzhen Puruikang and Shanghai ZJ Bio-Tech Co., Ltd respectively. The products will be reserved for contingency situations, said CFDA. The statement did not detail how fast the reagent can diagnose the Ebola virus infection but according to a Friday report from China News Service, the product from Puruikang has high sensitivity and accuracy. As the Ebola virus disease outbreak approaches the anniversary of the first case in Guinea, the International Federation of Red Cross and Red Crescent Societies (IFRC) warns that efforts must be sustained in order to contain the epidemic. IFRC said in a statement that for some weeks, messages of hope have finally been emerging from the three most affected countries in West Africa. “While we are beginning to see the positive results of operations put in place to tackle the disease, the fight is not over. In fact, this may be just the beginning,” said the statement. Elhadj As Sy, Secretary General of IFRC, said efforts must continue at the scale and speed necessary to bring the ongoing outbreaks under control. “The operations of the Red Cross and Red Crescent and partners are having a real impact on Ebola in Sierra Leone, Guinea and Liberia, but we must not be complacent,” he said. “The progress we are making against Ebola gives us encouragement that our collective approach is on the right path, and strengthens our resolve to continue until the outbreaks are contained,” he added. “The situation, however, is not clear cut,” the statement stated. In Gueckddou, Guinea, the initial epicentre of the outbreak, there has been a recent spike in new infections. This is also the case in Macenta, where the French Red Cross recently opened an isolation center. In Sierra Leone, while there are signs that measures taken in the most affected areas are effective, new cases are flaring up in previously unaffected regions, putting even more pressure on scarce resources. In the capital city, Freetown, the number of new cases is rising with a similar pattern that was seen recently in Monrovia, Liberia. “While keeping a focus remains on the three countries at the heart of this crisis, we are expanding our assistance to neighboring countries to help them be prepared,” said Sy. In support to Red Cross societies in Guinea, Liberia, Sierra Leone and Mali, and in coordination with International Red Cross and Red Crescent Movement partners, the ongoing operation has mobilized more than 10,000 volunteers and 200 international delegates to scale up efforts in social mobilization, safe and dignified burials, contact tracing, psychosocial support, and clinical case management. Estonia is sending hand sanitizer and antibacterial liquid soap to Sierra Leone in cooperation with Britain to prevent further spread of the Ebola virus in West Africa, the Estonian Public Broadcasting (ERR) reported on Friday of November 28. The ERR report cited Estonian Minister of Foreign Affairs Keit Pentus-Rosimannus that the disinfectants sent from Estonia will help create a safer environment for all the volunteers who care for patients at the centers, as well as for all of those coming to the centers seeking help. 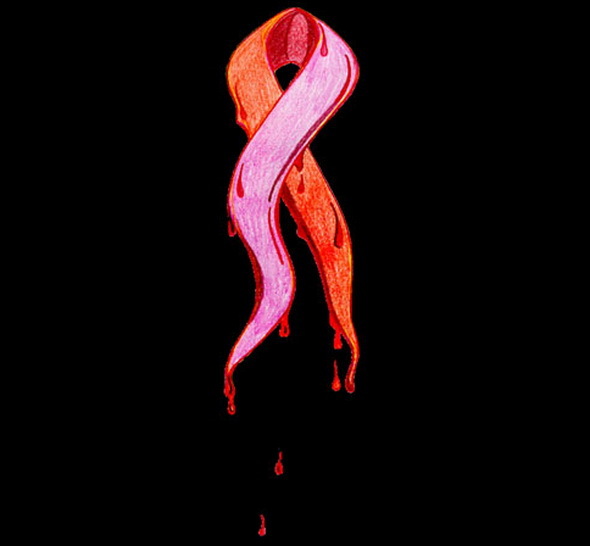 The World Health Organization reports that as of the end of November a total of 15,935 cases of Ebola have been registered and of those, 5,689 cases ended in death. 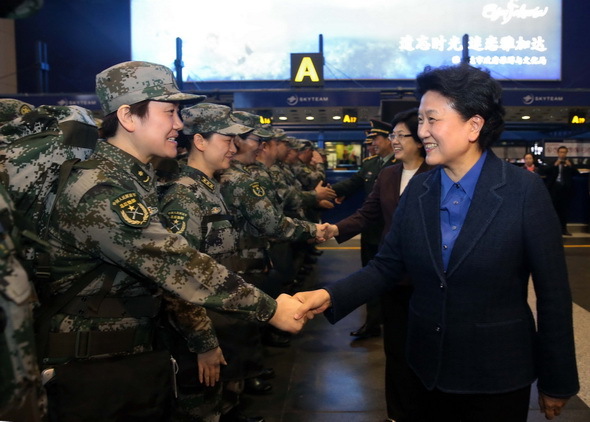 Chinese Vice Premier Liu Yandong has highly praised the four Chinese medical teams which left for West Africa for Ebola control on Friday night. Liu was at the Beijing Capital International Airport to see the teams off. She wished them bon voyage and hopes that they can do a good job in defeating the disease in Africa. Liu said the medical assistance operations is a clear embodiment of the lasting friendship between China and the African nations, which have earned widespread acclaims from the African people and the international communities’ applause. She called the teams to vigorously promote the perseverant spirit and glorious traditions of Chinese foreign health aid and effectively curb the epidemic. The Vice Premier also asked the staff to take care of their own safety and ensure zero infection. So far, China has sent more than 300 staff to West African countries, and about 1,000 medical workers and public health experts are on stand-by. The Chinese government has also provided the affected countries with financial and material aid, totaling 750 million yuan (122 million U.S. dollars). Another four teams of more than 205 Chinese medical workers and health officials will leave for West Africa late on Friday of November 14 to help in the fight against Ebola. They will provide treatment and share preventive measures with the people in the three hardest-hit countries — Guinea, Liberia and Sierra Leone. To date, China has sent more than 300 staff to West African countries, and about 1,000 medical workers and public health experts are on stand-by. The Chinese government has also provided these countries with financial and material aid, totaling 750 million yuan (122 million U.S. dollars). The construction of a diagnosis and treatment center in Liberia, with the help of China, is expected to be finished on Nov. 25, according to Mao Qun’an, spokesman for National Health and Family Planning Commission. Mao said China’s medical aid for west Africa was the largest given by any country and it would help consolidate and develop the traditional friendship between China and the African nations. As China grapples with a growing number of untreated mental patients, health officials seek solutions to high-cost treatments and a dearth of doctors. Latest figures from the Beijing Municipal Commission of Health and Family Planning (BMCHFP) show the capital had more than 50,000 registered patients with severe psychiatric disorders by the end of 2013, and the number is rising, Guo Jiyong, a BMCHFP official, told Xinhua on Friday of October 10. According to statistics from the Chinese Center for Disease Control and Prevention, China’s mental population has exceeded 100 million, with more than 16 million in worrisome conditions. However, lack of medical infrastructure and a limited number of doctors has deprived many patients hope of a sound recovery. The city of Beijing has only 5,915 specialists in city hospitals and 995 in community health centers. They are charged with providing ongoing care to all mental patients occupying the city’s 9,888 sickbeds dedicated for such cases as well as those not in the hospital. According to the BMCHFP, in extreme cases a specialist can be charged with caring for up to 300 patients during a given period, posing immense pressure on medical professionals. Meanwhile, many of the sick come from cash-strapped families that simply cannot afford to pay high medical fees, forcing them to opt out of treatment. Poor management at local levels has exacerbated the situation, according to the Health and Family Planning Commission of central China’s Hunan Province. Hunan has about one million mental patients. As Friday marks the 22nd World Mental Health Day, experts are calling on the government and the whole of society to pay more attention to the plight of those suffering from mental disorder. Xie Hui, director of the BMCHFP’s disease control department, said the government should build a better system for the treatment of mental patients. He is echoed by Wang Lianggang, an official with the Beijing Lawyers Association. Wang said the government should incorporate the treatment for mental patients into the management system of the whole society, and that the government should shoulder part of responsibilities for them, rather than putting the pressure on their guardians.